En este informe se publicó un resumen de mi presentación en la reunión que le dio origen... acá va.
been relatively successful. Although the situation is far from ideal, direct threats and direct censorship have decreased. However, new threats rooted in government initiatives have begun to appear. These indirect threats are more subtle, but nevertheless highly efﬁcient. Governments make decisions and pursue actions that positively or negatively affect freedom of expression. The idea that a government should be neutral and absent in order to achieve greater respect for freedom of expression is a myth rooted in the concept that free speech can take place only if all obstacles originated in state action are removed. However, this idea of negative freedom, in Berlin’s words, is no longer accepted by most people1. No right can be enjoyed, not even the most classic political and civil rights, without some level of state action.2 In order to guarantee freedom of expression, a right often considered a precondition for democracy, states must take action to assure a diversity of voices in the media, and at the very least, state actors should be cautious not to prevent diversity by their actions and decisions. The state has two roles through which it can enhance or weaken the diversity of voices, thus negatively or positively affecting freedom of expression. On the one hand, it performs a regulatory function. On the other, it allocates resources. I would like to call attention to this second role and the possibility of enhancing diversity through the protection of freedom of expression. 1 Isaiah Berlin, “Dos conceptos de libertad”, en Cuatro ensayos sobre la libertad, Alianza, Universidad, Madrid, 1988, pp. 187-243. 2 Abramovich, Víctor y Courtis, Christian, “Hacia la exigibilidad de los derechos económicos sociales y culturales”, en Martin Abregú y Christian Courtis (comps. 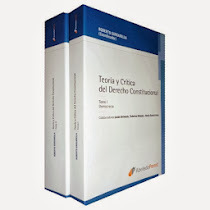 ), La aplicación de los tratados sobre derechos humanos por los tribunales locales, CELS, 1997. 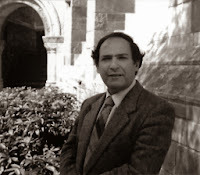 3 Christian Courtis y Victor Abramovich, “Hacia la exigibilidad de los derechos económicos, sociales y culturales”, en Martín Abregu y Christian Courtis (compiladores) “La aplicación de los derechos humanos por los tribunales locales”, CELS, Editorial del Puerto, 1998.